I Heart Darla! 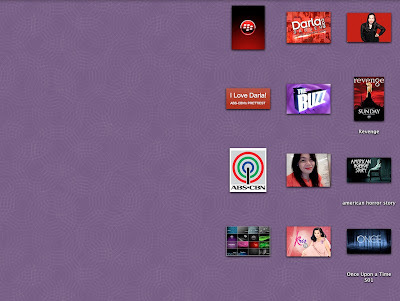 : My personalized desktop folders icons. My personalized desktop folders icons. Medyo may pagka-OC talaga when it comes to my files / laptop. Hindi ako mapakali whenever tatambad sa akin ang screen na ang daming nagkalat na files sa desktop. Kaya I always make sure my files are where they should be. Per program, per interest, per landi. Nagsawa na ako with my cartoon folder icons kaya I tried to find a way to make it more personalized, and I succeeded hehehe! Kaya pagbalik ko to work one week from now, sana mas refreshed na talaga ang feeling at utak ko.